In the beginning, God created the heavens and the earth. The earth was without form and void, and darkness was over the face of the deep. And the Spirit of God was hovering over the face of the waters. And God said, “Let there be light,” and there was light. And God saw that the light was good. And God separated the light from the darkness. God called the light Day, and the darkness he called Night. And there was evening and there was morning, the first day. And God said, “Let there be an expanse in the midst of the waters, and let it separate the waters from the waters.” And God made the expanse and separated the waters that were under the expanse from the waters that were above the expanse. And it was so. And God called the expanse Heaven. And there was evening and there was morning, the second day. And God said, “Let the waters under the heavens be gathered together into one place, and let the dry land appear.” And it was so. God called the dry land Earth, and the waters that were gathered together he called Seas. And God saw that it was good. And God said, “Let the earth sprout vegetation, plants yielding seed, and fruit trees bearing fruit in which is their seed, each according to its kind, on the earth.” And it was so. The earth brought forth vegetation, plants yielding seed according to their own kinds, and trees bearing fruit in which is their seed, each according to its kind. And God saw that it was good. And there was evening and there was morning, the third day. And God said, “Let there be lights in the expanse of the heavens to separate the day from the night. And let them be for signs and for seasons, and for days and years, and let them be lights in the expanse of the heavens to give light upon the earth.” And it was so. And God made the two great lights–the greater light to rule the day and the lesser light to rule the night–and the stars. And God set them in the expanse of the heavens to give light on the earth, to rule over the day and over the night, and to separate the light from the darkness. And God saw that it was good. And there was evening and there was morning, the fourth day. 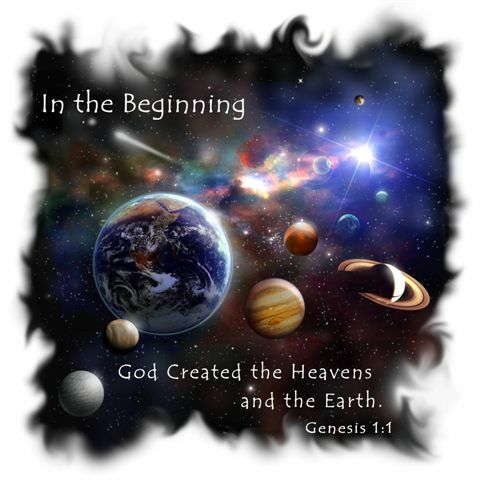 According to Scripture, God “created the heavens and the earth” on Day One of Creation Week (Genesis 1:1). Initially all was dark, until God said, “Let there be light” (Genesis 1:3). Days Two and Three saw the oceans, firmament (atmosphere), continents, and plants created and formed, as the earth was being progressively prepared for man’s habitation. It was on Day Four that God created the sun, moon, and stars, proclaiming, “Let there be lights in the firmament of the heaven” (Genesis 1:14), one purpose of which was “to give light upon the earth” (Genesis 1:15). The light in Genesis 1:3 was directional, coming from a particular source. The earth was evidently rotating underneath it, causing alternating periods of light and dark. “And God called the light Day, and the darkness he called Night” (Genesis 1:5). Skeptics have long ridiculed the science of biblical creation over this point. How could there be light bathing the earth before the sun was created? Obviously the Bible must be in error. But as always, this apparent error drives us to look more closely at the relevant data, both scientific and biblical. Actually there are many sources of light, not just the sun. There are also many types of light, not just visible light. Short-wave light includes ultraviolet light, X-rays, and others. Long-wave light includes infrared light, radio waves, etc. Light is produced by friction, by fire, by numerous chemical reactions, as well as the nuclear reactions of atomic fission and fusion, which is what we think is occurring in the sun. God had at His fingertips many options to accomplish His purposes. Light does not automatically require the sun. Dr. Henry Morris made an interesting point about this passage when he said that because God is light, dwelling in light (1 Timothy 6:16), He did not have to create light. But God did create darkness (Isaiah 45:7) “as the initial state of the unformed and uninhabited earth (Genesis 1:2).” He created the primeval darkness to form a division between day and night. I charge you in the presence of God, who gives life to all things, and of Christ Jesus, who in his testimony before Pontius Pilate made the good confession, to keep the commandment unstained and free from reproach until the appearing of our Lord Jesus Christ, which he will display at the proper time–he who is the blessed and only Sovereign, the King of kings and Lord of lords, who alone has immortality, who dwells in unapproachable light, whom no one has ever seen or can see. To him be honor and eternal dominion. Amen. Furthermore, we have important data given by the Hebrew words used in the creation account. When God created “light” in verse 3, the word used connotes the presence of light only, while the word used for “lights” on Day Four is best translated “light bearers,” or permanent light sources. Their purpose was not only to give light, but to serve as timekeepers for man once he was created. According to the best stellar creation theory now available, light from stars created anywhere in the universe on Day Four would reach earth in two earth days, and would be useful to Adam on Day Six. The Holy Bible tells us that no sun or moon is necessary to produce light because God Himself is light. Saint John wrote, “In the beginning was the Word, and the Word was with God, and the Word was God. He was in the beginning with God. All things were made through him, and without him was not any thing made that was made. In him was life, and the life was the light of men. The light shines in the darkness, and the darkness has not overcome it” (John 1:1-5 ESV) and “This is the message we have heard from him and proclaim to you, that God is light, and in him is no darkness at all” (1 John 1:5 ESV). The Book of Revelation tells us of a new heaven and a new earth. It says. “And the city has no need of sun or moon to shine on it, for the glory of God gives it light, and its lamp is the Lamb. By its light will the nations walk, and the kings of the earth will bring their glory into it, and its gates will never be shut by day–and there will be no night there” (Revelation 21:23-25 ESV). Then I saw a new heaven and a new earth, for the first heaven and the first earth had passed away, and the sea was no more. And I saw the holy city, new Jerusalem, coming down out of heaven from God, prepared as a bride adorned for her husband. And I heard a loud voice from the throne saying, “Behold, the dwelling place of God is with man. He will dwell with them, and they will be his people, and God himself will be with them as their God. He will wipe away every tear from their eyes, and death shall be no more, neither shall there be mourning, nor crying, nor pain anymore, for the former things have passed away.” And he who was seated on the throne said, “Behold, I am making all things new.” Also he said, “Write this down, for these words are trustworthy and true.” And he said to me, “It is done! I am the Alpha and the Omega, the beginning and the end. 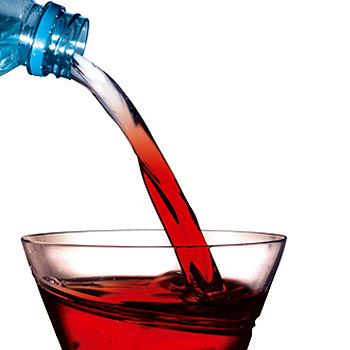 To the thirsty I will give from the spring of the water of life without payment. The one who conquers will have this heritage, and I will be his God and he will be my son. But as for the cowardly, the faithless, the detestable, as for murderers, the sexually immoral, sorcerers, idolaters, and all liars, their portion will be in the lake that burns with fire and sulfur, which is the second death.” Then came one of the seven angels who had the seven bowls full of the seven last plagues and spoke to me, saying, “Come, I will show you the Bride, the wife of the Lamb.” And he carried me away in the Spirit to a great, high mountain, and showed me the holy city Jerusalem coming down out of heaven from God, having the glory of God, its radiance like a most rare jewel, like a jasper, clear as crystal. It had a great, high wall, with twelve gates, and at the gates twelve angels, and on the gates the names of the twelve tribes of the sons of Israel were inscribed– on the east three gates, on the north three gates, on the south three gates, and on the west three gates. And the wall of the city had twelve foundations, and on them were the twelve names of the twelve apostles of the Lamb. And the one who spoke with me had a measuring rod of gold to measure the city and its gates and walls. The city lies foursquare, its length the same as its width. And he measured the city with his rod, 12,000 stadia. Its length and width and height are equal. He also measured its wall, 144 cubits by human measurement, which is also an angel’s measurement. The wall was built of jasper, while the city was pure gold, clear as glass. The foundations of the wall of the city were adorned with every kind of jewel. The first was jasper, the second sapphire, the third agate, the fourth emerald, the fifth onyx, the sixth carnelian, the seventh chrysolite, the eighth beryl, the ninth topaz, the tenth chrysoprase, the eleventh jacinth, the twelfth amethyst. And the twelve gates were twelve pearls, each of the gates made of a single pearl, and the street of the city was pure gold, transparent as glass. And I saw no temple in the city, for its temple is the Lord God the Almighty and the Lamb. And the city has no need of sun or moon to shine on it, for the glory of God gives it light, and its lamp is the Lamb. By its light will the nations walk, and the kings of the earth will bring their glory into it, and its gates will never be shut by day–and there will be no night there. They will bring into it the glory and the honor of the nations. But nothing unclean will ever enter it, nor anyone who does what is detestable or false, but only those who are written in the Lamb’s book of life. This all presents a problem for those who hold to the theory of Day-age creationism, a type of old Earth creationism. Day-age creationism is an interpretation of the creation accounts in Genesis. It holds that the six days referred to in the Genesis account of creation are not ordinary 24-hour days, but are much longer periods (of thousands or millions of years). The Genesis account is then reconciled with the age of the Earth. Proponents of the day-age theory can be found among both theistic evolutionists, who accept the scientific consensus on evolution, and progressive creationists, who reject it. The theories are said to be built on the understanding that the Hebrew word “yom” is used to refer to a time period, with a beginning and an end and not necessarily that of a 24-hour day. Genesis 1:12 tells us that “the earth brought forth vegetation, plants yielding seed according to their own kinds, and trees bearing fruit in which is their seed, each according to its kind.” This was Day Three of the Creation Week. However, Genesis then tells us that the sun, moon and stars were created on Day Four of the Creation Week (Genesis 1:14-19). Plants need sunlight for photosynthesis and cannot wait in darkness for thousands or millions of years. If the days were long periods of time as demanded by critics of a literal Creation Week, plants could not survive. Keep in mind that the Creation Week was a uniquely miraculous time, and we are justified in speculating that miraculous events may have been taking place outside of today’s natural laws. How much better and more satisfying it is to accept Scripture as it stands. It doesn’t need to be fully understood and explained by modern scientific thought; it just needs to be believed and obeyed. The first eleven chapters of Genesis (literally “beginnings”) are often ridiculed and discounted by scientists, scholars and archaeologists as “fantasy” or “mythological” tales from ancient times. Keep in mind these same skeptics can accept that monkeys became people, fish grew legs and walked out of the water and dinosaurs turned into birds. Many have suggested theories of what took place berween Genesis 1:1 and Genesis 1:2. Today a debate rages about the question of origins and where creation and humanity came from. Much of the passion that surrounds this question is because the question of origins has implications for everything else. For example, Genesis says that there was a beginning to history which means there will be an end. Genesis says that creation comes from God which means it belongs to God. Genesis says that people come from God which means that people will stand before God in the end. The main viewpoints (worldview) of unbelievers are Deism (Deism emphasize that God created everything, but is not present in the workings of His creation. Therefore, in this viewpoint, God exhibits His transcendent. ), Pantheism (Pantheism states that God is part of His creation. Therefore, in this viewpoint God shows His personal immanence. ), Panentheism or Monism (Panentheism and Monism emphasize that “all in God and all is one), Process Theology or Open Theism (Process Theology or Open Theism states that God is in process, growing in knowledge with His creation. God is in process, growing in knowledge with His creation emphasize God’s personal nature.) and Naturalism (Naturalism states that matter comes forth from natural processes, without aid from any supernatural entity. In this worldview, matter and life are created by chance. This viewpoint emphasizes that matter is either eternally existent or it comes into effect ex nihilo, ‘out of nothing’.). There are several Judeo-Christian views on the creation of the “heaves and earth” as well. In Historic Creationism, Genesis 1:1 records the making of all of creation by God out of nothing (or ex nihilo) through a merism of “heavens and earth,” which means the sky above and land below, or the totality of creation. Since the word used for “beginning” in Genesis 1:1 is reshit in Hebrew, which means an indefinite period of time, it is likely that all of creation was completed over an extended period of time (anywhere from days to billions of years). Then Genesis 1:2 begins the description of God preparing the uninhabitable land for the creation of mankind. The preparation of the uncultivated land for and creation of Adam and Eve occurred in six literal twenty-four hour days. This view leaves open the possibility of both an old earth and six literal days of creation. In Creationism, God created the entire universe, including Adam and Eve, in six literal twenty-four hour days. This view is almost always accompanied with a belief in a young earth as it seeks to be faithful to the Biblical text while not giving much credence to the scientific claims of such things as an old earth. In the Literary Framework view, Genesis 1-2 is intended to be read as a figurative framework explaining creation in a topical and not sequential order. 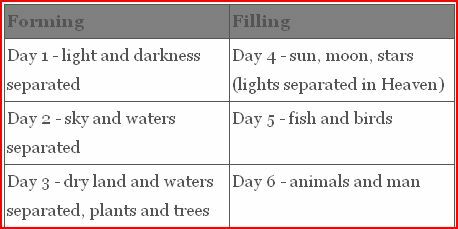 In this view the six days of creation listed in Genesis 1 are also to be interpreted metaphorically as not literal twenty-four hour days. The Literary Framework view is outlined as below. In the Day-Age View, God created the universe, including Adam and Eve, in six sequential periods of time that are not literal twenty-four hour days. The problem with this view is that the six days of creation are seemingly clearly literal days. Also, refer to Exodus 20:8-11. In Theistic Evolution, God essentially began creation and then pulled back from working directly in creation to instead work through the process of evolution. The only exception would be God involving Himself again directly in the making of human life. For the most part, this view accepts the hypothesis of evolution but seeks to insert God as the creator of matter and overseer of the evolutionary process. This view also believes that species evolved over a long period of time, which requires an old earth. The biblical problems with theistic evolution are many. First, Genesis 1 repeatedly states that creation and its species came into existence because “God said” and not because of evolutionary process. Additionally, Genesis 1 continually states that after God commanded creation to come into existence, “it was so,” which shows that God’s commands brought about the instantaneous response of creation coming into being and not through a long evolutionary process detached from God. Second, evolution teaches that one species evolves into other species while Genesis 1 says that each species had offspring “according to its kind” (Genesis 1:21, Genesis 1:24, and Genesis 1:25) and not another kind as evolution postulates. Third, the rest of Scripture portrays God as continually involved in the details of creation, including making the grass grow (Psalm 104:14; Matthew 6:30), feeding the birds (Matthew 6:26), and feeding the other creatures (Psalm 104:21, Psalm 104:25-30). This portrait of God from Scripture clearly does not paint Him as remote and involved in creation only indirectly. For an much more extensive overview and insight into God’s creation of everything, please refer to the article “Answers To Common Questions About Creation” from Pastor Mark Driscoll at the following link. Now that the creation myths and theories have been presented, I will explain (to the best of my ability) the historical and Biblical account of creation from the book of Beginnings, Genesis. Genesis 1:1 is a merism, a figure of speech, by which a single thing is referred to by a conventional phrase that enumerates several of its parts, or which lists several synonyms for the same thing. It is similar to the dust jacket or preface of a book to tell the reader what the book is about. Merisms are conspicuous features of Biblical poetry. For example, in Genesis 1:1, when God creates “the heavens and the earth” (KJV), the two parts combine to indicate that God created the whole universe. Similarly, in Psalm 139, the psalmist declares that God knows “my downsitting and mine uprising”, indicating that God knows all the psalmist’s actions. 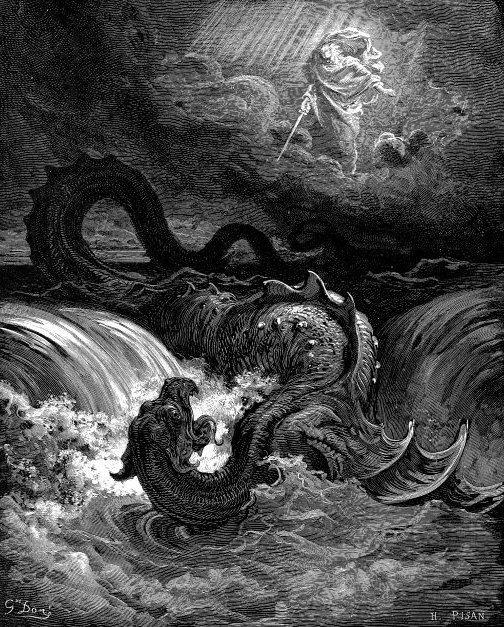 From the Hebrew text Genesis 1:2 reads: “And the earth was nothingness and waste (terrifying) was upon the face of the primeval ocean, and Spirit of God hovered upon the face of the oceans.” Water is the womb of life and there is more water observed on earth than upon any other planet observed in space! There was light on the first day. There was also day and night, this means the earth was rotating on it’s axis on the first day. Skeptics love this verse because they claim it is a contradiction as the sun. moon and stars were not created until the fourth day. The implications of Genesis 1:3 are that there was light and that light source was entirely independent from the sun, moon and stars. We know from many other Scriptures throughout the Bible that the sun, moon and stars are not necessary because God Himself is light. And the angel of God, which went before the camp of Israel, removed and went behind them; and the pillar of the cloud went from before their face, and stood behind them: And it came between the camp of the Egyptians and the camp of Israel; and it was a cloud and darkness to them, but it gave light by night to these: so that the one came not near the other all the night. And after six days Jesus taketh Peter, James, and John his brother, and bringeth them up into an high mountain apart, And was transfigured before them: and his face did shine as the sun, and his raiment was white as the light. And I saw a new heaven and a new earth: for the first heaven and the first earth were passed away; and there was no more sea. And I John saw the holy city, new Jerusalem, coming down from God out of heaven, prepared as a bride adorned for her husband. And I heard a great voice out of heaven saying, Behold, the tabernacle of God is with men, and he will dwell with them, and they shall be his people, and God himself shall be with them, and be their God. And God shall wipe away all tears from their eyes; and there shall be no more death, neither sorrow, nor crying, neither shall there be any more pain: for the former things are passed away. And he that sat upon the throne said, Behold, I make all things new. And he said unto me, Write: for these words are true and faithful. And he said unto me, It is done. I am Alpha and Omega, the beginning and the end. I will give unto him that is athirst of the fountain of the water of life freely. He that overcometh shall inherit all things; and I will be his God, and he shall be my son. But the fearful, and unbelieving, and the abominable, and murderers, and whoremongers, and sorcerers, and idolaters, and all liars, shall have their part in the lake which burneth with fire and brimstone: which is the second death. And there came unto me one of the seven angels which had the seven vials full of the seven last plagues, and talked with me, saying, Come hither, I will shew thee the bride, the Lamb’s wife. And he carried me away in the spirit to a great and high mountain, and shewed me that great city, the holy Jerusalem, descending out of heaven from God, Having the glory of God: and her light was like unto a stone most precious, even like a jasper stone, clear as crystal; And had a wall great and high, and had twelve gates, and at the gates twelve angels, and names written thereon, which are the names of the twelve tribes of the children of Israel: On the east three gates; on the north three gates; on the south three gates; and on the west three gates. And the wall of the city had twelve foundations, and in them the names of the twelve apostles of the Lamb. And he that talked with me had a golden reed to measure the city, and the gates thereof, and the wall thereof. And the city lieth foursquare, and the length is as large as the breadth: and he measured the city with the reed, twelve thousand furlongs. The length and the breadth and the height of it are equal. And he measured the wall thereof, an hundred and forty and four cubits, according to the measure of a man, that is, of the angel. And the building of the wall of it was of jasper: and the city was pure gold, like unto clear glass. And the foundations of the wall of the city were garnished with all manner of precious stones. The first foundation was jasper; the second, sapphire; the third, a chalcedony; the fourth, an emerald; The fifth, sardonyx; the sixth, sardius; the seventh, chrysolite; the eighth, beryl; the ninth, a topaz; the tenth, a chrysoprasus; the eleventh, a jacinth; the twelfth, an amethyst. And the twelve gates were twelve pearls; every several gate was of one pearl: and the street of the city was pure gold, as it were transparent glass. And I saw no temple therein: for the Lord God Almighty and the Lamb are the temple of it. And the city had no need of the sun, neither of the moon, to shine in it: for the glory of God did lighten it, and the Lamb is the light thereof. And the nations of them which are saved shall walk in the light of it: and the kings of the earth do bring their glory and honour into it. And the gates of it shall not be shut at all by day: for there shall be no night there. The firmament in the heavens is the only place in the creation narrative where God did “see that it was good.” It was necessary, but not good. Please see my article “Seventh Heaven” below for more details on this subject. On the third day all the waters under the heaven were gathered in one place which He called seas, the dry land was called Earth. Then God created all grasses, trees and vegetation. On the fourth day of creation, God created the sun, moon and stars and established the ordinances for them so that they would be for signs, seasons, nights and days. On the fifth day, God created every animal that lives in the sea; fish, whales, sea lions, shrimp, clams, and oysters.He also created the birds of the air (and probably all flightless birds like ostrich as well). On the sixth and final day of creation, God created all things that dwell on land. From earthworms to cattle to humans. And God said, Let the earth bring forth the living creature after his kind, cattle, and creeping thing, and beast of the earth after his kind: and it was so. And God made the beast of the earth after his kind, and cattle after their kind, and every thing that creepeth upon the earth after his kind: and God saw that it was good. And God said, Let us make man in our image, after our likeness: and let them have dominion over the fish of the sea, and over the fowl of the air, and over the cattle, and over all the earth, and over every creeping thing that creepeth upon the earth. So God created man in his own image, in the image of God created he him; male and female created he them. And God blessed them, and God said unto them, Be fruitful, and multiply, and replenish the earth, and subdue it: and have dominion over the fish of the sea, and over the fowl of the air, and over every living thing that moveth upon the earth. And God said, Behold, I have given you every herb bearing seed, which is upon the face of all the earth, and every tree, in the which is the fruit of a tree yielding seed; to you it shall be for meat. And to every beast of the earth, and to every fowl of the air, and to every thing that creepeth upon the earth, wherein there is life, I have given every green herb for meat: and it was so. And God saw every thing that he had made, and, behold, it was very good. And the evening and the morning were the sixth day. On the sixth day (Friday), God completed the work on His creation. On the seventh day, God rested from all his work which he had made. And God blessed the seventh day, and sanctified it: because that in it he had rested from all his work which God created and made. Everything that God created was created mature. This includes plants, animals, star, galaxies, and humans. So now you know what came first, the chicken, not the egg.